Neighborhood wanted 1 km from the center. 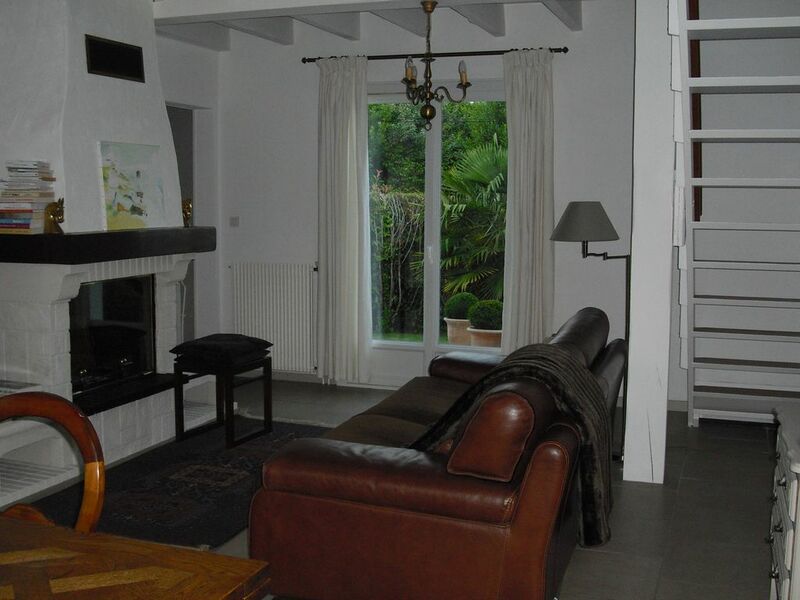 Charming house 100 m2 surrounded by a flower garden 300 m2 bordering a lake built, 2 terraces with no overlooked, courtyard 2 vehicles. Very good condition, tastefully furnished interior. nice and quiet area in green surroundings close to all amenities, 5 minutes center, nearby beaches MILLADY, MARBELLA, cote des Basques: 3 beaches renowned for easy access. Equipment: comfort, 2 bedrooms + 2 small beds in floor- made on arrival: 170,140,140,90. Double SDB. Available: surfboard, morrey bike. Linen provided: sheets, pillowcases, towels toilet, nappes- 1 1 contract and detailed inventory will be send. Provide bail. Pets not allowed. Rental for 6 people maximum.